I get a lot of questions about my makeup routine, and I've changed it up a little since my last post so I figured I'd let you know what I'm doing differently. I have 2 makeup bags. 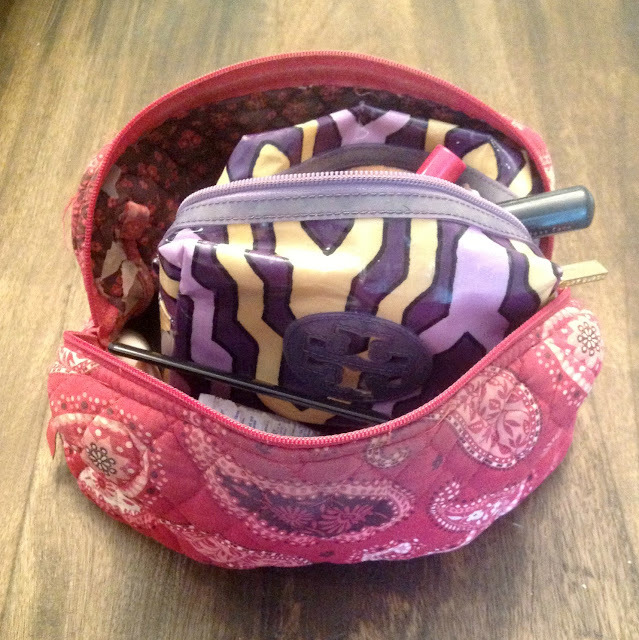 The makeup I use day-to-day is in the smaller bag. Garnier BB Cream in Light/Medium - this product changed my life. I love that it evens out my skin tone and just generally makes it look better. It's one of the best BB creams I've used. I know it won't work for me forever, but right now I'm loving it! Maybelline Instant Age Rewind Dark Circle Eraser in Brightener - this was recommended to me. I don't love it, but I like it better than any other under eye concealer I've used. I'm starting to think I set my expectations too high. Nars Concealer in Vanilla - I switched from MAC studio fix concealer to this. It's easier to apply and has the same amount of coverage. MAC Studio Fix Powder Plus Foundation in N5 - love this stuff. It offers great coverage and keeps my skin finish matte. I've been using this for years. Bare Escentuals All Over Face Color in Glee - my mom gave this to me and I really like it. It's very natural looking. When I run out, I probably won't buy it myself, but it is doing the job for now. MAC Eye Shadow in Mystery - love it, been using it for years. I use this on my eyebrows and sometimes as liner. Cover Girl Professional Super Thick Lash Mascara in Very Black - this is a new purchase for me. So far, I've been just as impressed with this as I have been with any other mascara I've ever used. MAC Lipstick in Loverlorn - this is the perfect pink for me. I can add a jazzy lip gloss over it to punch it up or use my lip conditioner for a more conservative approach. 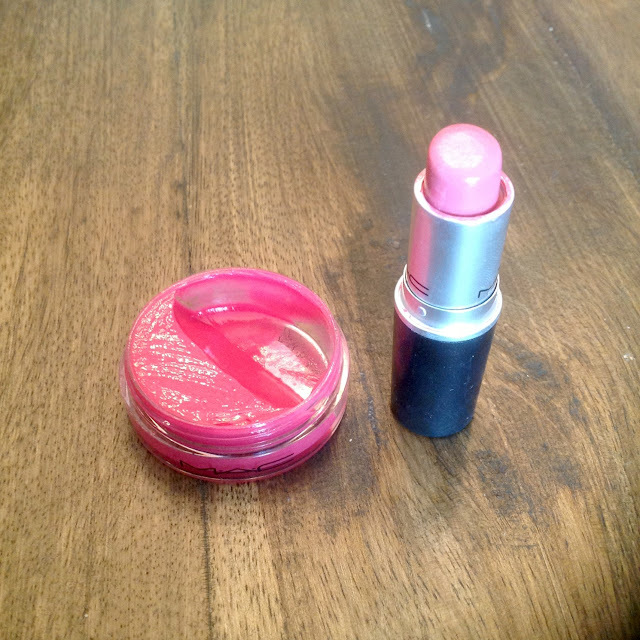 MAC Tinted Lip Conditioner in Fuchsia Fix - MAC doesn't always have this in stock, but it doesn't matter because it lasts forever. I've had this for over 3 years and it's not even half empty. Gotta love that! I couldn't find this on MAC's website, I think it's seasonal. Apply BB cream all over my face, being careful to blend. Dust studio fix over my forehead, nose, and chin. Apply blush to the apples of my cheeks and blend upward towards my hairline. Apply mystery to my eyebrows with a slightly damp angle brush. 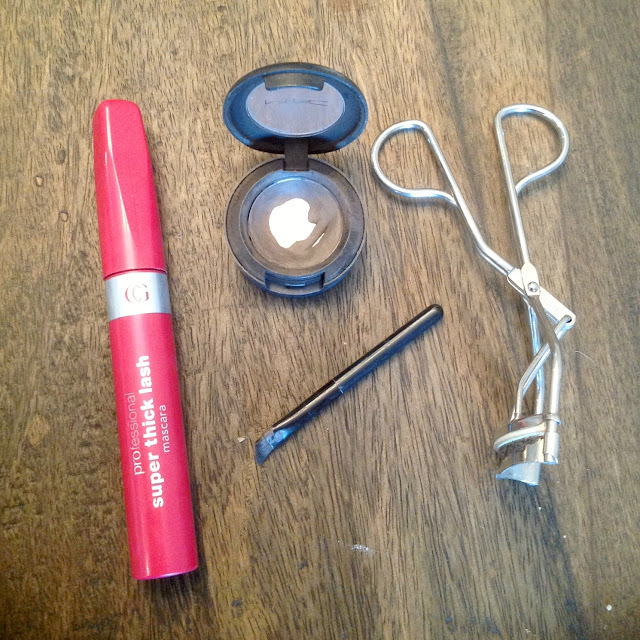 Apply 1-2 coats of mascara, allowing time to dry inbetween each coat. Apply 1 more coat of mascara. I almost never wear eye shadow. Sometimes, I wear eyeliner, and when I do I dampen my angle brush and use MAC mystery to line the top lid of my eyes. So there you have it. 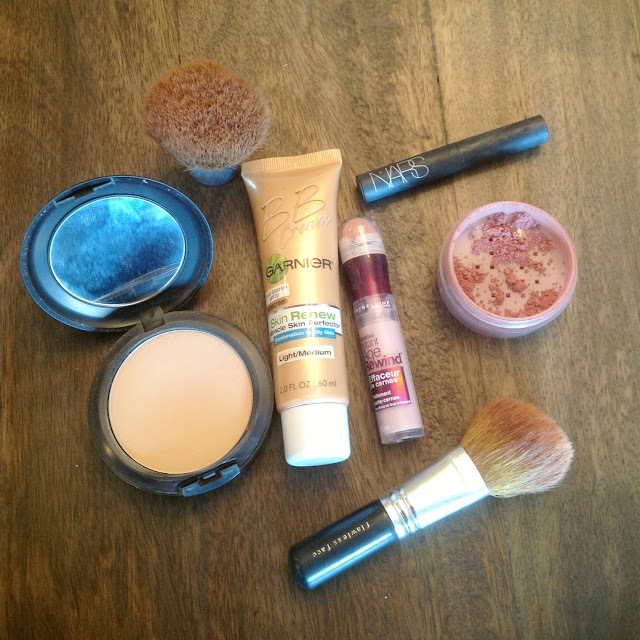 My "nobody paid me to try this" makeup routine. Occasionally, when I receive promotional products, I find one I really love and incorporate it into my daily routine. However, I usually always fall back on these products. What makeup products do you love? I use the age rewind concealer but I use the brightening version. It cancels my under eye circles and gives me a wide awake look. I love seeing what other people do! I think I may need to do one of these posts too, before I pack up my makeup for the big move. This sounds clean faced and beautiful!